All eyes will be on Stadio San Paolo when Napoli and Lazio face each other in the Serie A derby on Matchday 20. 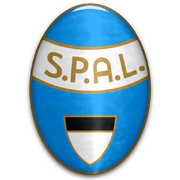 The Neapolitans head into Sunday’s football game following a win over Sassuolo in the Coppa Italia and we predict that they are going to stick to their attacking style of play against the Biancocelesti. Carlo Ancelotti’s men aim to stay in the race for Scudetto and only a win counts for them in the Stadio San Paolo clash. Dries Mertens is likely to return to the starting line-up after he started from the beanc in the Italian Cup game against Sassuolo. The capital club, on the other hand, rolled over Novara in the Coppa Italia at the weekend, but they will have a much bigger fish to fry in Sunday’s game in Naples as the Partenopei are a real force to be reckoned with at home.